“We need to re-instill an ethic of corporate patriotism.” While this may sound something Donald Trump would say, it was Bernie Sanders. Everyone is talking about the deal that Donald Trump recently made with United Technologies, a corporation that owns the air conditioning company — Carrier. According to reports, Carrier planned to outsource 2,100 jobs to Mexico, but after negotiations with Trump, decided to keep 1,000 of those jobs in the United States. After a month of bad press about his cabinet picks, Trump is using these numbers as evidence that he will make good on his promise to bring back manufacturing jobs. In return, Trump will provide United Technologies with tax and regulatory favors. Trump is touting this as a victory for the working class, although 1,000 people will still lose their jobs. Clearly it is not a victory, and the tax cuts provided to United Technologies mean that the working class will continue to have to carry the weight of the sluggish economy on their shoulders. On December 1, Bernie Sanders published a scandalous response to these events. The title of the article is “Carrier just showed corporations how to beat Donald Trump”, as if Trump and corporations were somehow in opposition. Sanders’ argument is that Carrier manipulated Trump into providing tax subsidies by putting 2,100 workers’ jobs on the line, and that now corporations across America will follow the same pattern. He says, “United Technologies took Trump hostage and won. 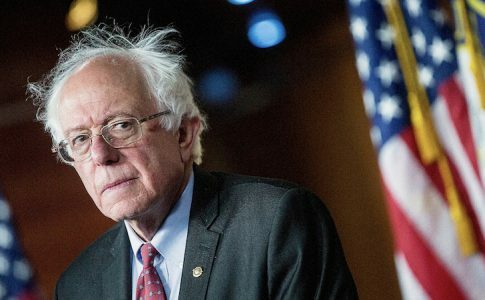 And that should send a shock wave of fear through all workers across the country.” Again, Sanders positions Trump and corporations as antagonists–so much so that Trump was “held hostage” by a corporation and thereby forced to give tax breaks. This analysis makes it seem like Trump and corporations have not always been on the same side, united against the working class. 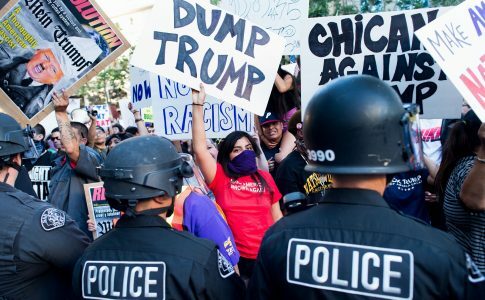 A “shock wave of fear” of a Trump Presidency has in fact shaken most of the American working class, who did not vote for Donald Trump (many did not vote at all). In the election, Trump rallie against the Wall Street elites and the Washington establishment, vowing to “drain the swamp”. Without a doubt, all the major corporations backed Clinton in the election and Trump’s plans may ruffle some corporate feathers. Pro-globalization elites who seek cheap labor in other countries would not support Trump’s plans to, for example, eliminate free trade treaties and increase taxes on Chinese products. Furthermore, Trump made promises to working class voters in the election–that America would re-industrialize and they would get their jobs back. However, as any progressive person can see, Trump, the billionaire, plans to govern in the interest of the ruling class. So, it should be no surprise that he is providing tax cuts and regulatory favors to corporations. Trump and the rest of the billionaire class may have some disagreements, but both agree that corporate profits must be protected at the expense of the working class. What solution does Sanders provide to Trump’s deal-making? 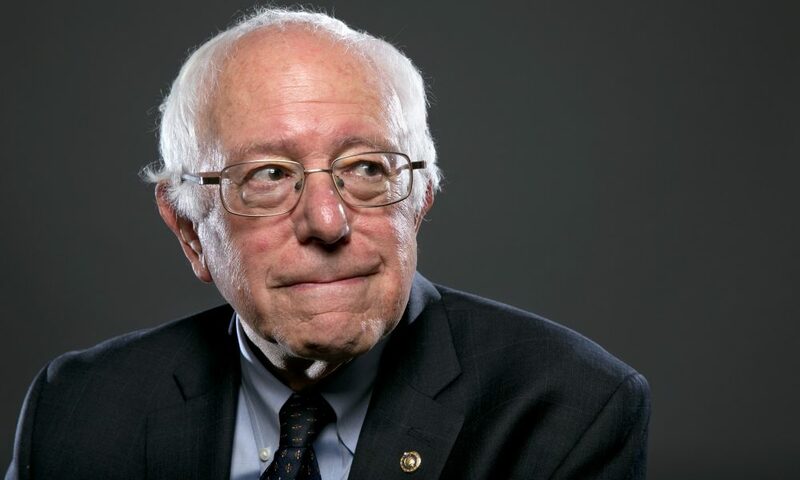 He says, “We need to re-instill an ethic of corporate patriotism.” This quote seems like something that Donald Trump would say, but instead, it was supposed socialist Bernie Sanders who said it. Sanders calls on workers to send a “loud and clear” message to corporations — fighting words! This loud and clear message is not Marx’s “workers of the world unite,” but rather a call for corporations to be more “patriotic” — pitting American workers against the global working class. It seems that Sanders is unclear on who the real enemy is, when he chooses to speak about corporate patriotism instead of international working class solidarity. In this article, Sanders reiterates his initial support for any “worker friendly” initiatives the President-elect may have, suggesting hope in Trump at the exact moment that people all over the country have taken to the streets against him. Rather than denouncing Trump as an enemy of the working class, this “progressive,” anti-establishment symbol plans to give Trump a chance. This, of course, after months of campaigning for Clinton all but saying that Trump would bring about the apocalpyse. 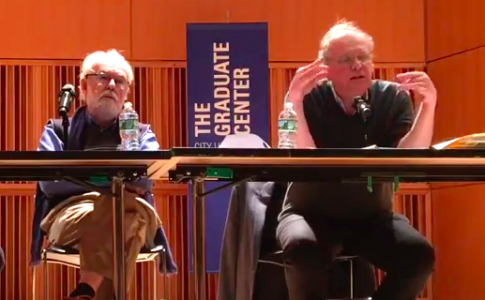 However, as Sanders concludes, “If Donald Trump won’t stand up for America’s working class, we must”– as if there was ever any doubt that Trump would put his Presidency at the service of the wealthy. These statements by Sanders grossly mischaracterize Trump, implying that he could somehow reflect working class interests. They should dispel any illusion that Sanders is a socialist and fights for the working class. Workers themselves have provided radical alternatives to bailouts and passivity. In the US and throughout the world, there are examples of workers taking over the factories and producing under worker control. In the US, the Republic Windows and Doors struggle is a famous example of this. In Argentina, factories like Zannon have been under work control for 15 years or MadyGraf for two. The way forward is not in Trump’s tax cuts for the wealthy, or in Sanders’ movement for corporate patriotism. The way forward is in these radical working class responses. 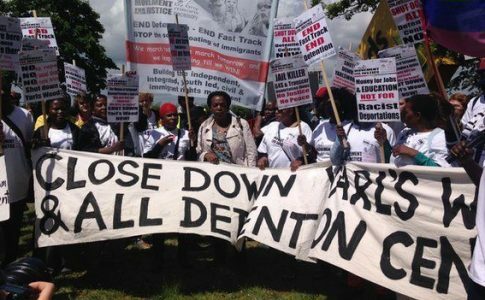 UK Protest: Shut Down Deportation Center!